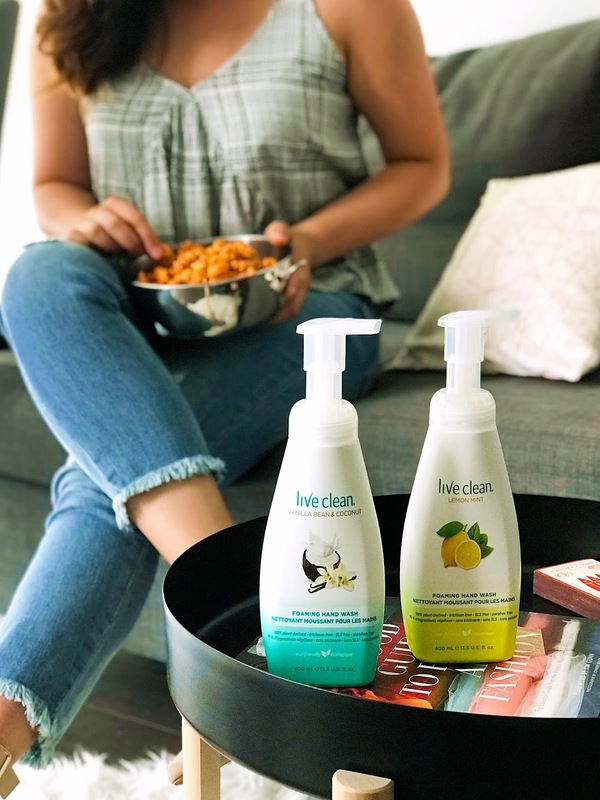 You guys know how much I rave about Live Clean on this blog and social media. I've been using their hand soaps for years, so I was super excited to see that they have recently released some Foaming Hand Washes to their range, available in three different scents, Lemon Mint, Vanilla Bean & Coconut, and White Tea & Cherry (not pictured). They retail for $4.99 CAD and are housed in 400mL bottles. I love foaming hand soaps because they are so light and airy, but they also form a rich and creamy lather that cleanses so perfectly! I've been keeping one in my kitchen and it's been so nice to reach for something that not only smells great (the Vanilla Bean & Coconut is my favourite), but also cleans off grease (and cheesy popcorn fingers!) without drying out my hands. The Live Clean Foaming Hand Washes are enriched with Vitamin E and organic Aloe Vera which is probably why my hands feel nicely moisturized after using the soap. 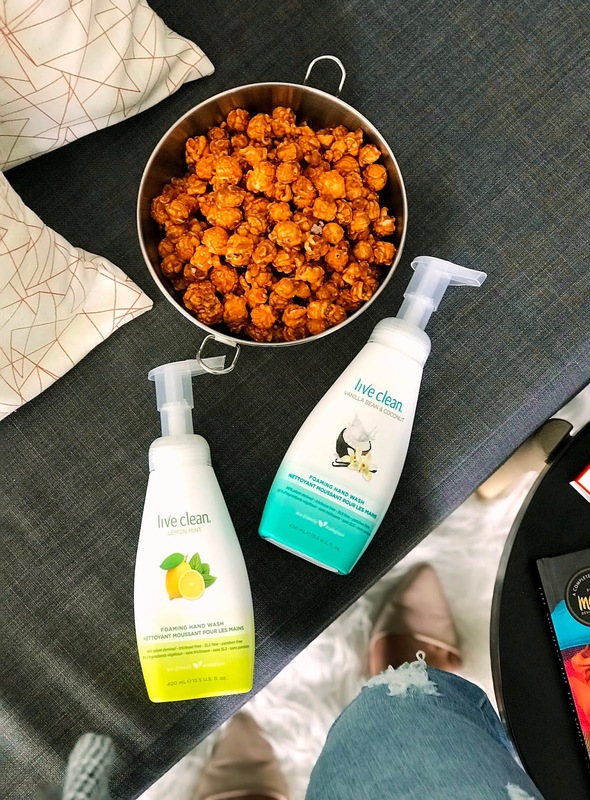 As always, Live Clean keeps their products natural and eco-friendly, which is another reason to love the brand. Their products are made with 98% plant based ingredients, pure vegan, never tested on animals, paraben-free, and the packaging is completely recyclable, just to name a few pluses about the brand. You can find Live Clean Foaming Hand Washes at Shoppers Drug Mart, London Drugs, Walmart, Amazon.ca, and Well.ca. Overall, I love these foaming hand washes. They're absolutely a pleasure to use and the price is super affordable for a natural and eco-friendly product. I gifted one of these to Beni's parents and they've been loving it as well! Disclaimer* Product sent for review, all opinions are my own.